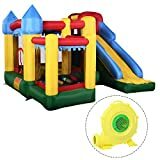 What is the Best Material for a Trampoline Jump Mat? Do You Need Replacement Parts for Enclosure Systems? 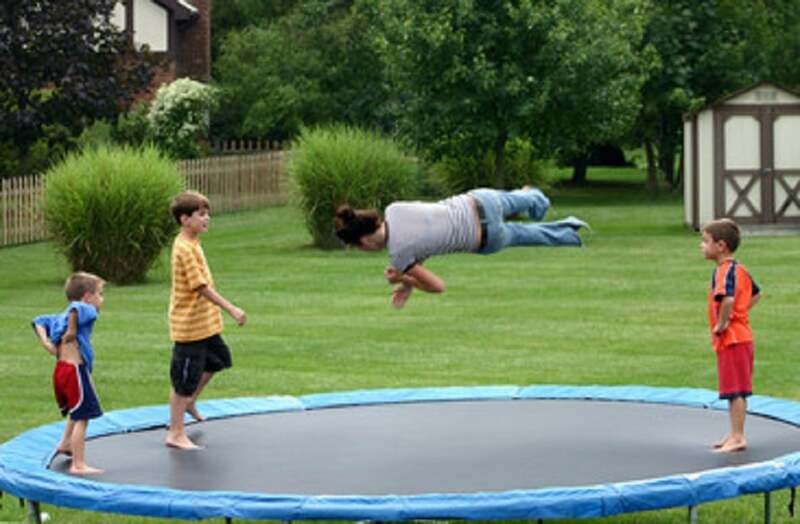 A trampoline can be a great investment for any type of family. 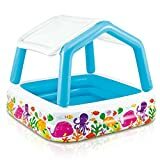 Whether you have children who could use more exercise or enjoy using a trampoline for aerobic workouts, you are sure to find a way to benefit from one of these fun and useful outdoor products. 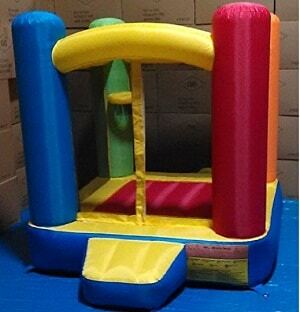 Trampolines are available in all sizes and in a broad range of prices. 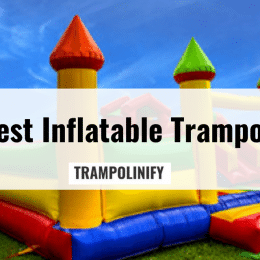 You can find affordable trampolines that may last for a few years of frequent use or invest in a more expensive trampoline made from high-quality materials that will last much longer. 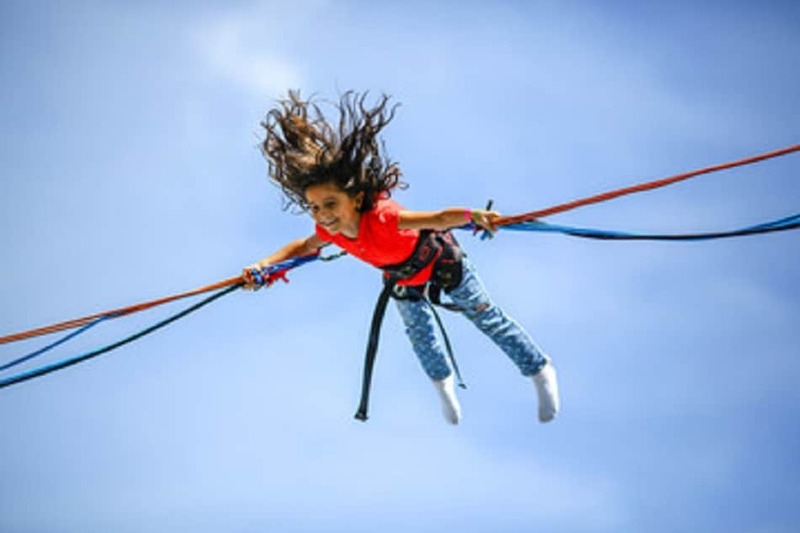 Regardless of what type of trampoline you buy, you should always look for one that includes safety features such as a protective net or an extra-stable frame to keep users safe at all times. While most higher-end trampolines are designed to last, issues can come up at any time and require you to replace the frame parts, mat or your trampoline’s pad. If any of these items become damaged, you don’t have to throw out your entire trampoline and start shopping around for a replacement. 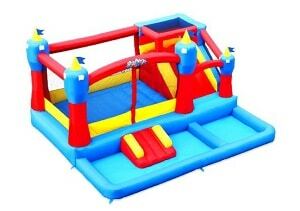 You can find frame parts and replacement jump pads for most trampolines. These parts will cost much less than buying a brand-new model and are usually very easy to install. If you initially set up your trampoline yourself, you are already familiar with how to install the frame, pad, mat, safety net and other parts. So, adding your new replacement piece shouldn’t take much time and you can go back to enjoying your family trampoline once again. You may have owned your trampoline for years before the mat needs a replacement. And if that is the case then you may have also forgotten the exact measurements of the mat. When it comes to replacing parts on your trampoline, there are several measurements that you will need to guarantee that the parts you purchase are the correct size. Even if you don’t need a new net or frame, you may still need to measure these parts to ensure that the replacement parts you do need will work correctly. When you need a new jump mat, you are required to measure the frame size of your trampoline. If you already know the frame size then you shouldn’t have any issues, but if you are unsure, it is a good idea to double-check so that you know you are ordering the correct replacement part. Measure from one outside edge of the frame to the other side to get the diameter of your jump mat. 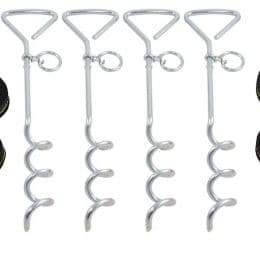 Along with measuring the frame size, you will also need to measure the spring size from one hook to the other. The usual lengths for trampoline springs are 5.5-inches or 7-inches. To correctly measure a spring, remove it from your trampoline. Then measure it from one end to the other, including the hooks. You want to measure the entire length of the spring to get an accurate replacement. 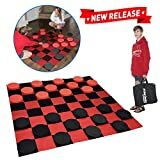 Most replacement jump mats are available in 8, 10, 12, 13, and 14 foot. You will also want to count the number of eyelets on your mat for the hooks. But if you miscount the eyelets by a few holes, you shouldn’t worry. You can always space out the springs enough so that the replacement jump mat will still fit correctly. These days practically all new trampolines come with a safety net. 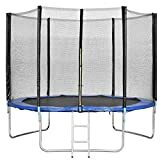 But if you have an older model trampoline or purchased one without a net, you can order one to add to your trampoline. You can also find replacement nets if your current one has become damaged. The first thing you will need to do is measure your frame size. 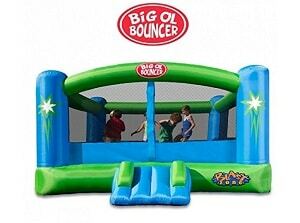 Start at the outside edge of the trampoline’s metal frame and go across the widest part or diameter of the frame. Count the number of enclosure poles that you have, and check to make sure the poles are straight. You should have either six or eight safety net poles. 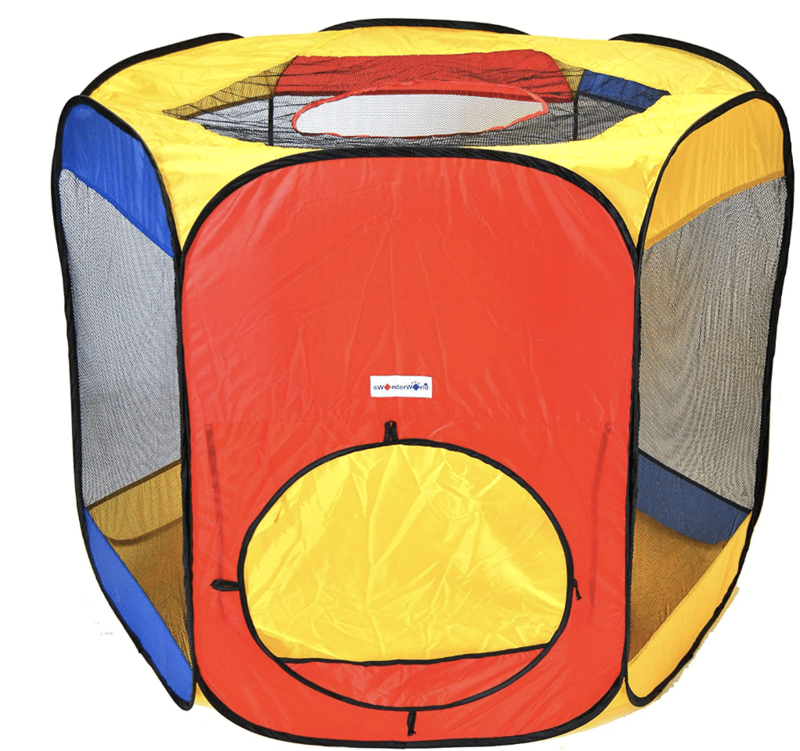 A universal safety net enclosure is a great choice for a replacement safety net. 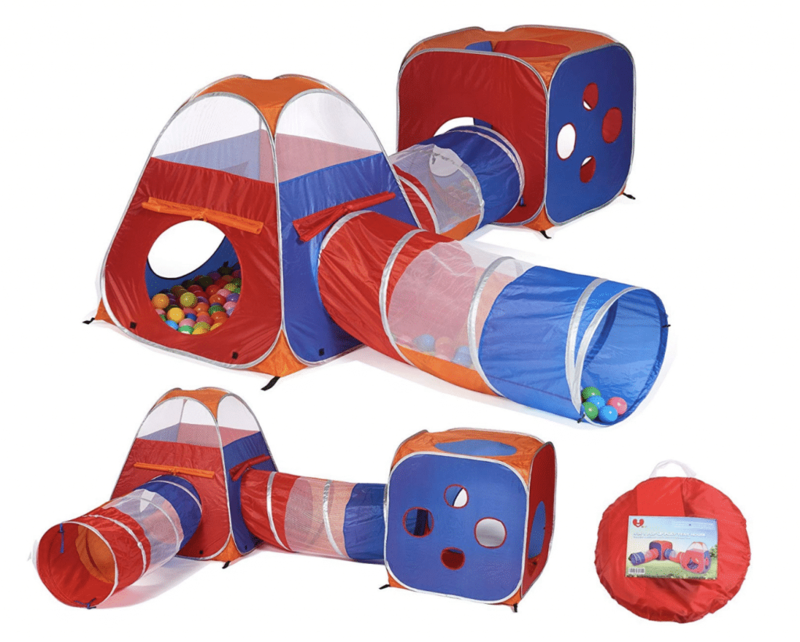 This product will slide over straight poles and includes a zippered closure. You may also find some other options that do not feature a zipper that are usually much cheaper. 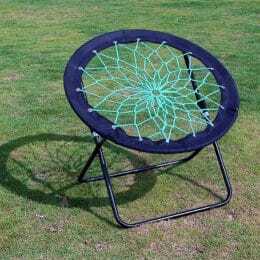 If you can purchase a stock replacement safety net for your trampoline, it may be your best option, especially if you are unsure about the measurements. Instead, you can go by the trampoline’s make or model number to order your replacement part. Trampoline safety net poles are available in various lengths, so you want to make sure you are buying the right type and the right amount for your trampoline. 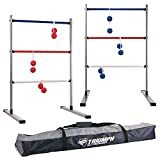 There are two primary lengths for trampoline poles, one that is suitable for an 8-foot trampoline, and the other that works for all other sizes such as 10, 12, 13, or 14-foot trampolines. It is best to order poles that come with foam padding around them for added safety. 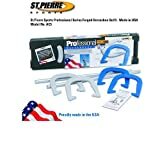 Also make sure that the poles you order come with their own brackets, or else you may have to look elsewhere to purchase those separately. To make sure that your replacement poles will work with your trampoline, check if your poles are straight and fit on the exterior of your trampoline. Another option is to measure the overall height of your trampoline starting at the ground and up to the top of the frame. Then measure from the frame to the top of the safety net. This will let you know if the pole length that order will fit. 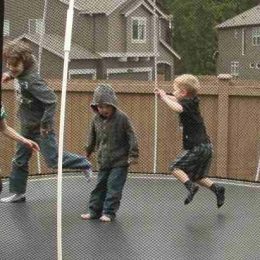 The jump mat is the primary part of your trampoline. Without it, you are left with a useless frame and safety net. If you have a good quality trampoline that you invested in, and you do not want to buy another complete trampoline just because of a bad jump mat, you can save a lot of money by purchasing a replacement mat. 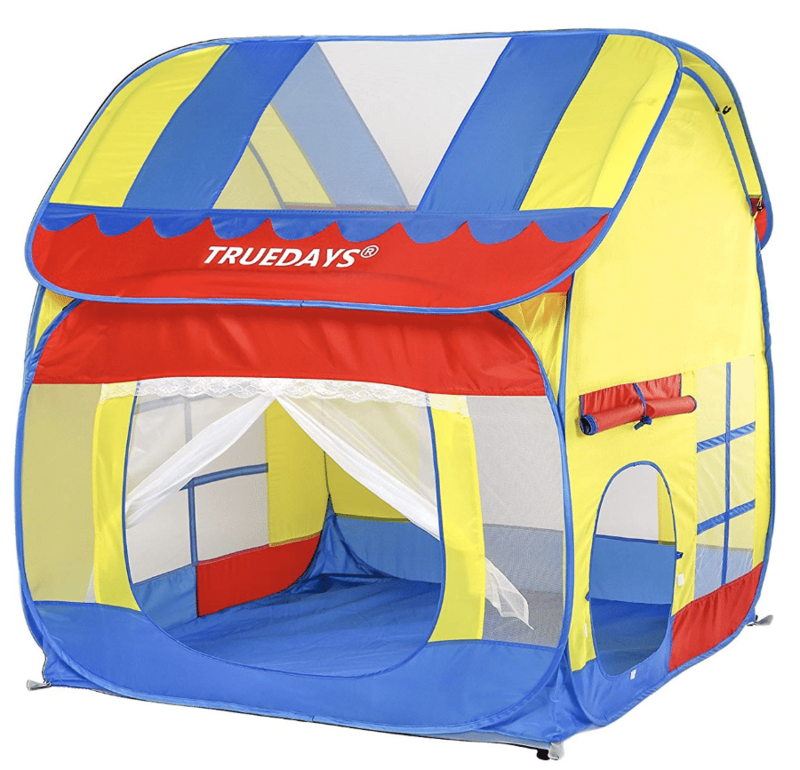 Trampolines are manufactured to be used for several years. 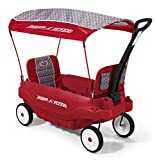 Most are made to withstand all types of weather conditions so that you can leave it set up all year long. 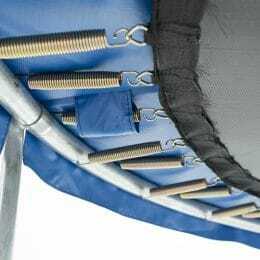 But if you begin to notice that your jump mat is tearing or fraying where it is connected to the springs, you should stop using it until you get a replacement mat. 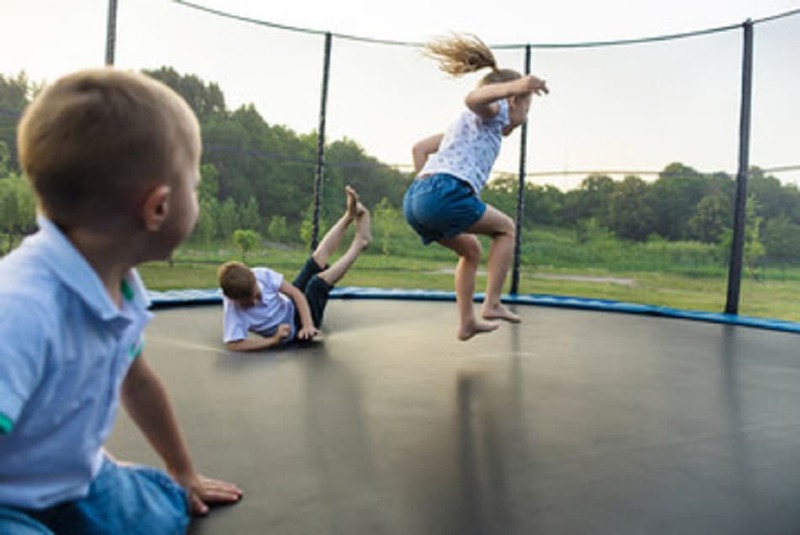 Trampolines have weight limits and if you and your family has used it multiple times while exceeding the weight limit, then you could easily wear down the fibers of the jump mat quickly. And even though most mats are designed to withstand rain, snow, and harmful UV rays, being left out in severe weather over time can also cause damage to the mat. Plus, if you have had your trampoline for more than 10 years and it has been used frequently, it could become worn down simply due to how much it has been used. If you notice that your jump mat doesn’t provide you with the same strong bounce as it once did, if the middle of the mat starts to sag, or if the mat is fraying around the edges, it is time to replace it. A trampoline mat may also become overstretched if too many people jump on it at the same time. And if it has held large amounts of snow, dead leaves or debris during the fall and winter seasons, this can also cause wear and tear to the mat. Another sign that your trampoline may need a replacement mat is if the stitching or the rings attached to the mat start to come off. Any time you notice these things, you need to look into replacing your jump mat right away. This is a sign that your mat has been used frequently over the years. 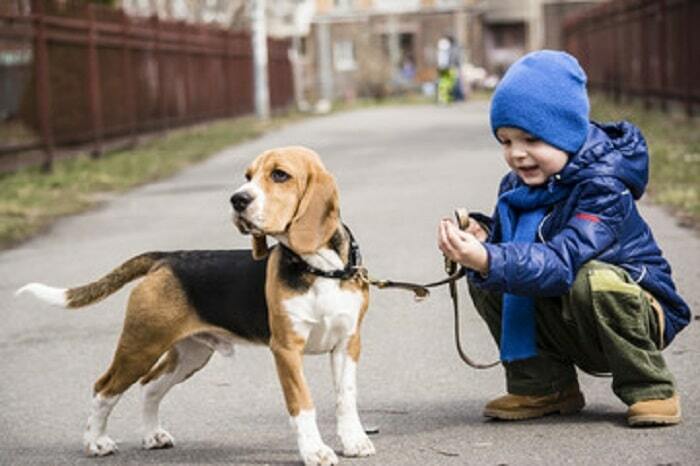 It is also common for kids or pets to make small rips or tears in the mat material. While you may not notice them at first, over time these small rips can become larger. 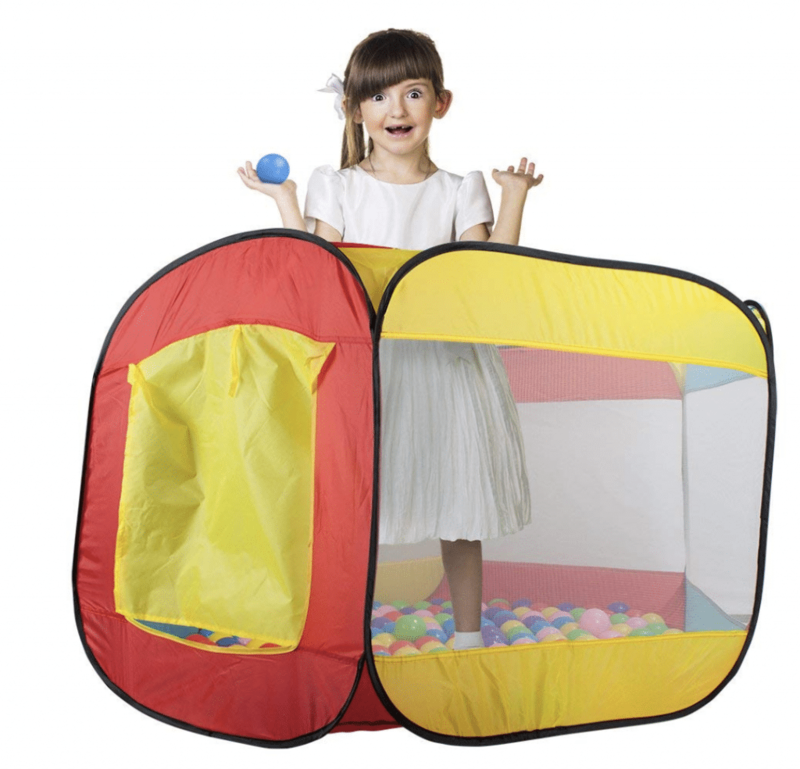 A trampoline jump mat that has holes in it could result in unwanted accidents or injuries. Some users have ended up in the emergency room with broken bones or sprains due to this type of issue. Replacing your jump mat with a brand-new one will help you and your family to avoid these injuries and make your trampoline safe to use once again. Once you have correctly measured all the necessary parts to order a replacement jump mat for your trampoline, you need to find one that will fit your frame. Sometimes you can find replacement parts on manufacturer’s website. But if that option is not available to you, you can always search online for the part that you need. 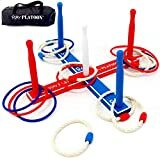 Most jump mats will have rings for springs built in, but you can also find mats that have elastic bands that will loop over the frame. 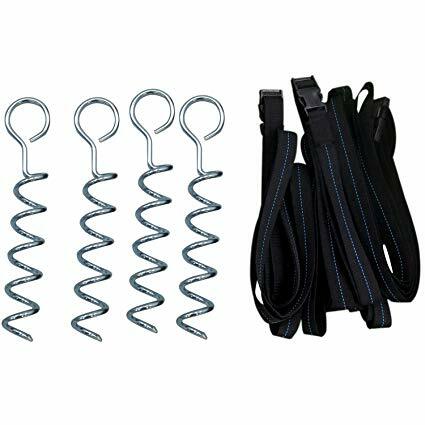 It is important to know which type of jump mat you need and the number of springs that your mat has, if any, so that you order the correct part. 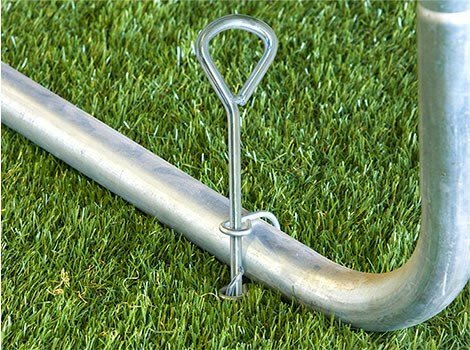 You may also want to purchase a spring tool that can help you remove the old trampoline mat and rings safely and much faster. When you are looking for a replacement jump mat for your trampoline, you will want to make sure that the new mat is made from strong and durable material. The highest quality and safest mat material is Permatron Polypropylene. 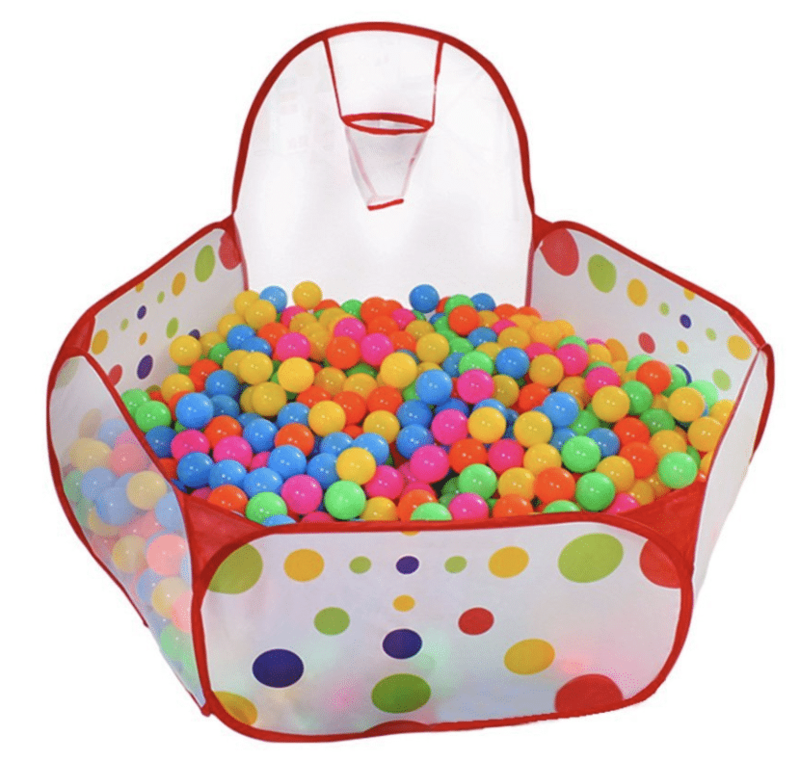 It is UV-resistant and even sewn with UV-resistant thread. 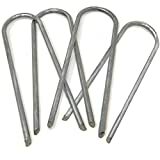 The V Rings that attach to the springs should also be galvanized to prevent rust or corrosion. If you own a competitive or Olympic trampoline, the replacement mat may need to have extra-strong and durable fabrics. That is because these trampolines are designed for use strictly by professionals. 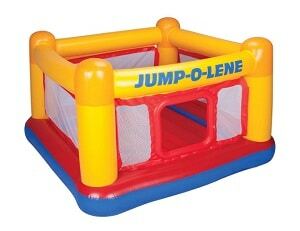 Therefore, you shouldn’t purchase one of these mats for your regular trampoline because you think it will more durable. 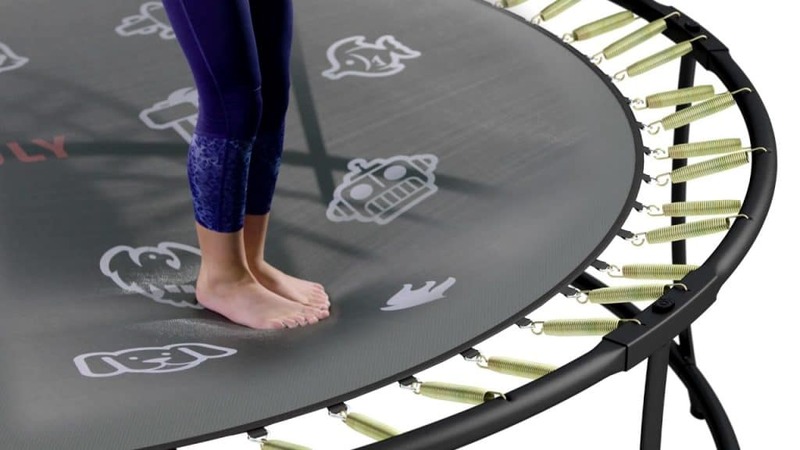 You should purchase a mat that is designed to fit your trampoline. If you have a trampoline with an enclosure system that includes netting and poles, you will need to measure the parts differently to order replacements. The outside frame must be measured, and you will need to do a thorough inspection of the feet of the trampoline to find out exactly how many legs it has. This will help you to determine how many pole uprights you will need. For a new trampoline frame, you will need to measure the size of your frame from one outside edge to another. Measure across the widest part of the trampoline, also known as the diameter. 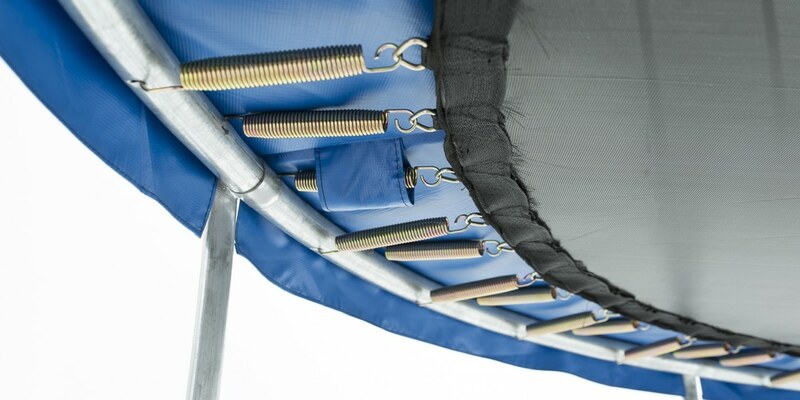 The padding on your trampoline is the part that covers the springs and protects users from accidents or injuries. If you need replacement padding due to years of wear and tear, you will need to measure the size of your trampoline’s frame. 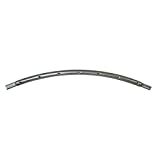 Go from the outside edge to the opposite outside edge of the metal frame to measure the diameter. 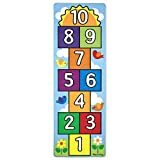 Most frames are close to an even number such as 8, 10, 12 or 14, however, there are frames that are 13 feet as well. As long as you are within 2 inches of the correct size, you should be fine when ordering a replacement pad. After a long winter season, you and your family will be ready to head outside and jump on the trampoline once again. Be sure to check for any of the above-mentioned issues such as sagging in the middle of the mat, fraying, tears in the fabric or fraying from the springs. Inspect the entire trampoline thoroughly to check if you need to order any replacement parts before you start enjoying it once again. How Did We Get the Trampoline That We Use Today? Trampolines have become a staple in the American family’s backyard for the past few decades. 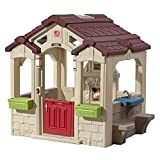 While they are still quite expensive, these outdoor play areas have become more affordable in recent years and have allowed more people to enjoy them than ever before. 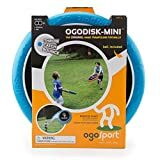 They provide us with a fun way to exercise, regardless of age, and offer a great excuse for kids and teens to go outside and play. But trampolines weren’t always used as a fun way to pass the time during the summer. 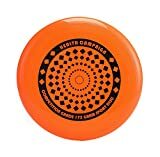 They were originally developed to be used as training tools for sports activities and survival training in Alaska. And long before that, trampolines were used in ancient times in celebratory or religious ceremonies. There is very little evidence of what trampolines were used for back hundreds of years ago. But archaeologists have discovered evidence of trampoline-like devices used in China, Iran, and Egypt. Many believe that they were used in ceremonies, however, their exact purpose is still unknown. 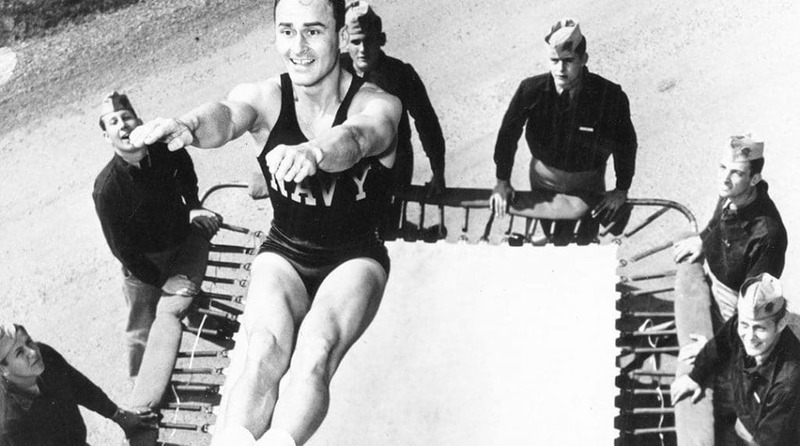 Here is some more insight on the history of trampolines. 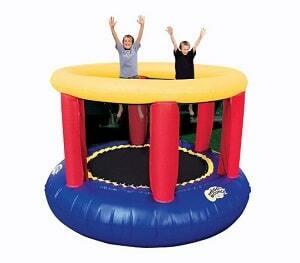 The earliest known prototype for the trampoline was known as “The Leaps” which surfaced during the Middle Ages. This device consisted of a thin board that was placed over two stands, one at each end. The user would jump on it and the spring action of the flexible board would cause the person to fly up into the air. This was an act that may have been performed at side shows or carnivals at the time. As the Leaps became more popular, the device was seen being used by more performers all throughout the world. 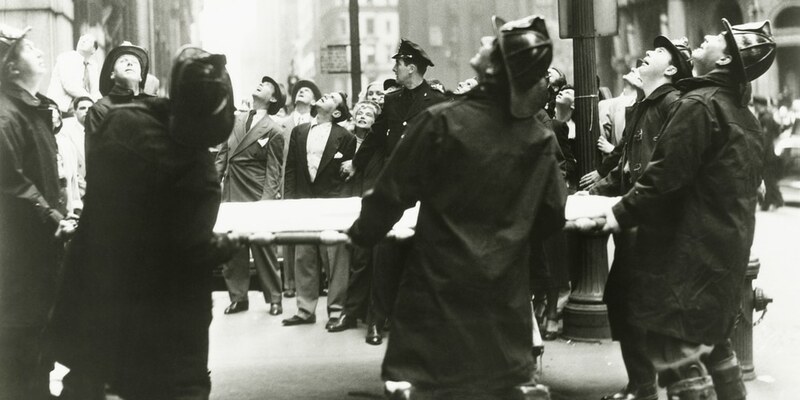 It was an easy device to assemble and could be transported from one city to another with little effort. It was later replaced by a springboard that was fixed to a base and included a hinge for additional movement. The springboard could catapult one user in the air as another person jumped on the free end. This was later added to many tumbling or acrobatic shows and can even be seen today in circus performances. In the frigid state of Alaska, trampolines made an early debut as rebound devices that were used by locals for sport and survival. These trampolines were made from walrus skin and could be used to toss people into the air. To do so, one person would sit on the skin as two or more people would hold on to the edges. 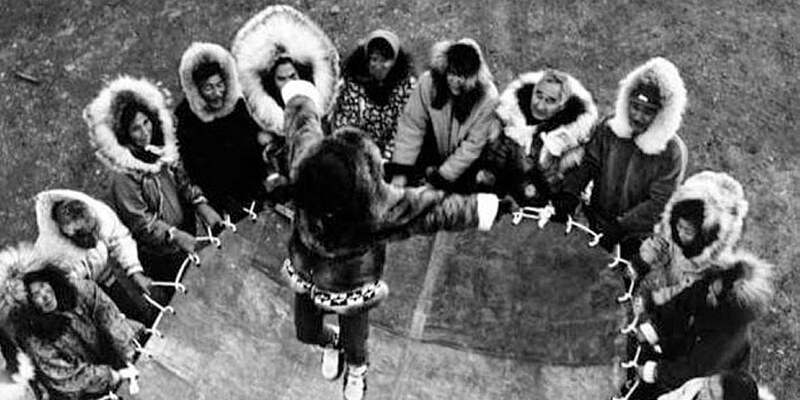 In a sweeping motion, the people along the edges would launch the seated individual into the air. This was used as an early form of recreation and was also helpful with hunting animals from a safe distance during a time when hunters didn’t have access to binoculars. The exact invention of the trampoline that we are familiar with today is unknown. There is no type of documents or any evidence that points to its origin story. 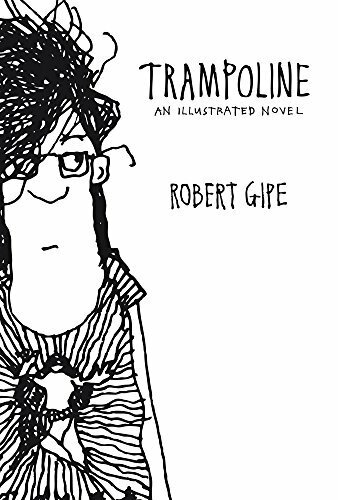 However, it is believed that the first trampoline was designed by Du Trampolin, a French artist. 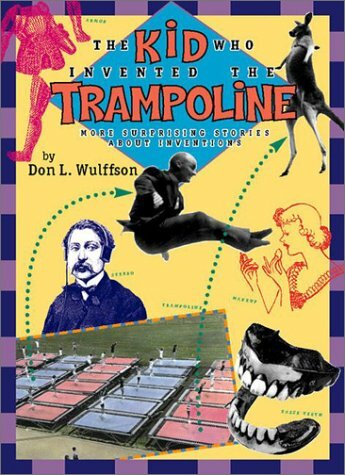 Aside from the fact that the device could have been named after him, Du Trampolin is believed to be the inventor of the trampoline after he made a realization while watching circus performers. He was watching a trapeze act and came up with the idea of a safety net that could propel the fallen performer into the air. 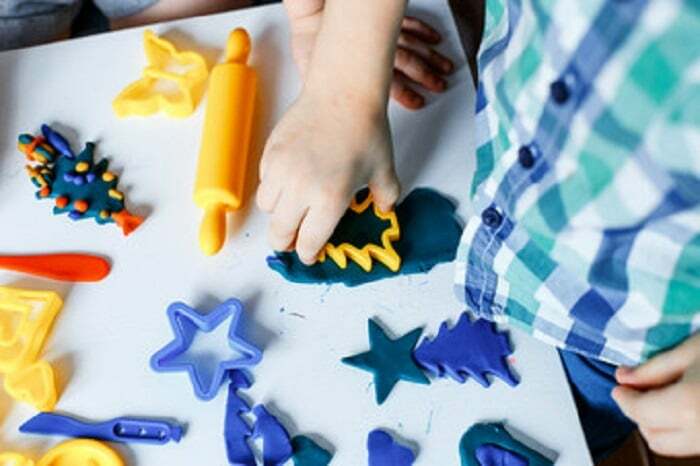 He spent some time working on his invention and experimenting with different techniques using various materials. The result was a net that could be used by a single acrobat to provide them with a safe landing. 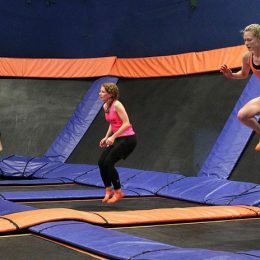 Du Trampolin may have come up with something very close to our modern-day trampolines, but it wasn’t until the 20th century that trampolines, as we know them, were invented. 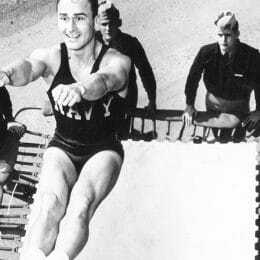 Larry Griswold and George Nissen were the inventors of the first trampolines in 1935. Griswold was a gymnast as a child and became a gymnastics coach at the University of Iowa. That is where he met Nissen who was a tumbler on the university’s gymnastics team. 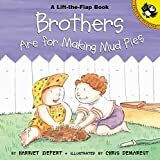 The two had studied the safety nets used by trapeze artists at the circus and thought it would make a great tool to use with their own gymnastic training. They developed the first modern trampoline using an angle iron, a canvas bed, and rubber springs. It was made in the basement of a YMCA where Nissen and Griswold threaded the long cords of the nets by hand. Since the invention of Griswold and Nissen’s trampoline, the device has been used in countless situations from military training for pilots in World War II, to preparing astronauts for space travel. 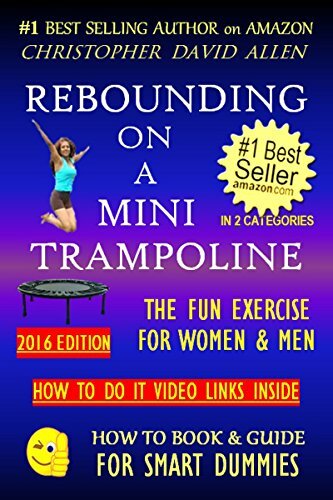 Whether it is being used for fun, training or survival, the trampoline has played a very important role in our history since it was initially invented. Owning a trampoline allows you to put your body through an actual workout while you are having fun. One of the best things about trampolines is that you can do so many fun, cool trampoline tricks on them. Even those of us who manage to trip over our own two feet can be graceful enough to do high jumps. And flips with ease while playing around on a trampoline. 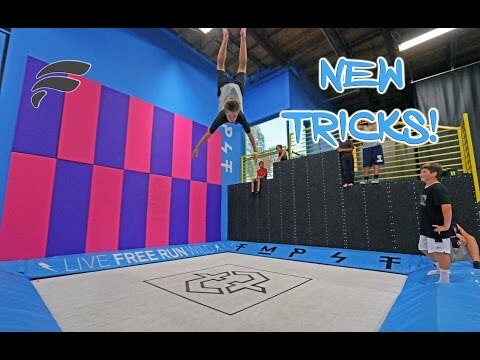 There are tons of tricks that you can perform on a trampoline. That don’t require any prior skills or much practice. You can find how-to’s online that explain tricks for beginners and experts alike. You don’t have to be a professional gymnast to master these fun and exciting cool trampoline tricks. But it is important to stay safe while you are practicing. Always use a trampoline with a safety net and padding, especially if you are new to performing tricks. And don’t try anything that appears to be far too dangerous such as jumping from an extremely high distance. As long as you take your time and use some common sense. You will be able to successfully achieve the coolest trampoline tricks found on the web. 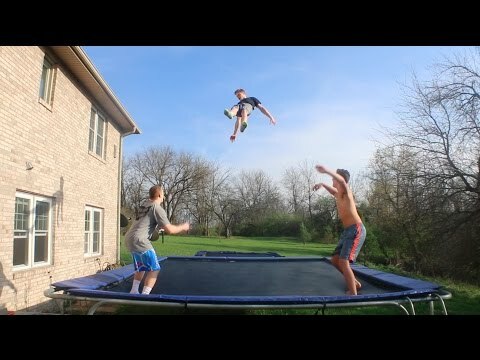 If you are using a trampoline for the first time, congrats! You now have access to one of the coolest exercise products there is. As long as you use your new trampoline with safety in mind. 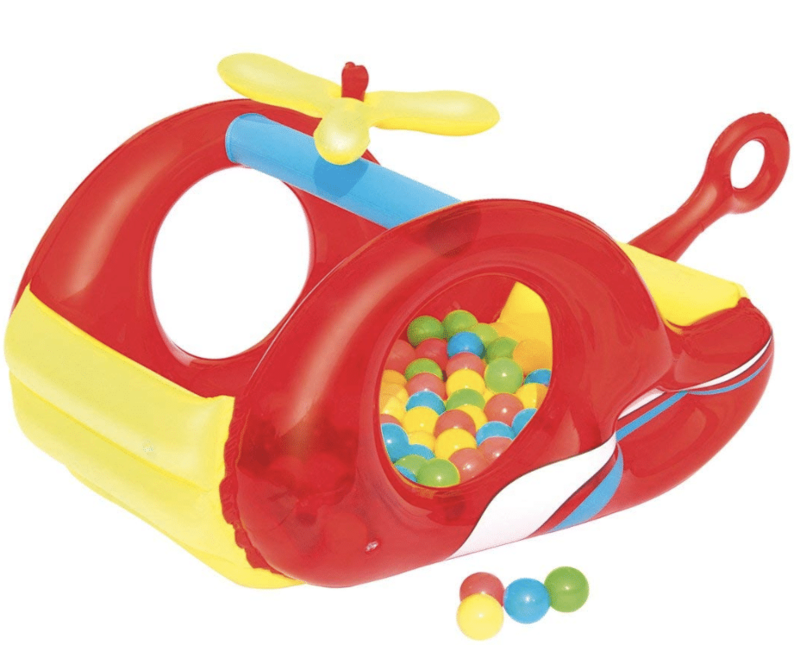 You will be able to enjoy years of fun and eventually learn how to perform various tricks. It is advisable that all new trampoline users take their time and learn how to move around on the trampoline without fear. It can be intimidating at first because you may think that standing on a trampoline is similar to standing on a bed. 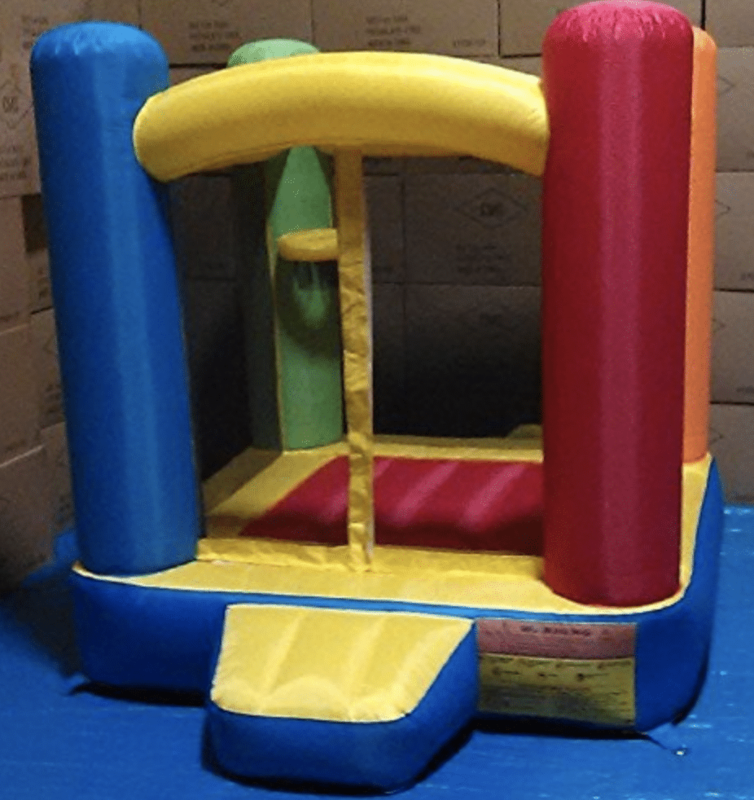 But a mattress is much more stable than a trampoline’s jump pad so you should first work on controlling your balance and learning how to simply walk around the mat. Next, you should learn how to safely bounce on the trampoline. 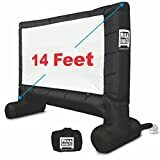 You don’t have to do a high bounce at first, just try to jump like you would while standing on the solid ground to get a general idea of how the jump mat responds to your movement. Once you feel comfortable moving around and jumping on the trampoline, you can start practicing a simple trick known as the Double Bounce. The Double Bounce is one of the most popular trampoline tricks for beginners. You will need to have another individual on the trampoline with you to perform this trick. Make sure that you do not exceed the weight capacity for your trampoline by adding another jumper. 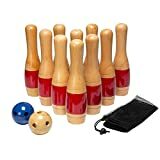 The trick involves you and your partner bouncing alternatively so that when you jump up, they jump down and vice versa. This activity is fun to try out and it can help new users to improve their balance. Another trick for beginners to try is to spin their body in the air while they are jumping. You will need to twist your body in one direction as much as possible while you are in the air. It can be difficult at first if you are not used to this type of movement but remember that if you fall you will only be landing on the trampoline mat, and you shouldn’t become injured. Spinning just half of your body is good for beginners. Once you are more confident, you can try to completely spin your body around for a 360-degree turn. The Superman Trick is slightly more advanced than the Double Bounce or Spins. With this trick, you get the chance to fly into the air by stretching your arms toward the body and slightly landing down on the pad. To avoid serious injuries, you will need to attempt to fall forward instead of vertically. 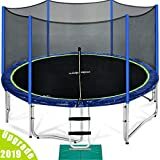 Once you become familiar with how the trampoline responds to your actions, and have achieved several simple tricks, you can move on to more advanced flips and spins. Remember to always put safety first when you are attempting these new moves and check to make sure your trampoline is in good condition without any flaws or defective parts before you proceed. The front flip is similar to the Superman trick. It requires you to catch your arms as you jump up into the air. The difference is that you need to flip your body while you keep your legs in the front and your head to the back. 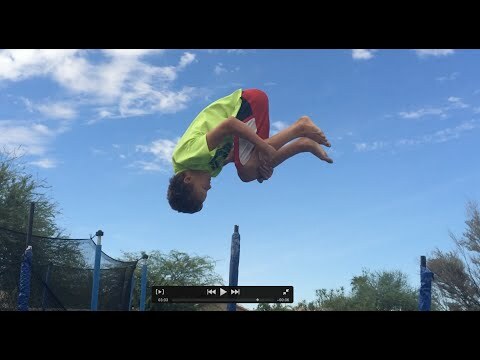 It is possible to add in more moves once you feel comfortable doing a front flip. You could try spinning on your knees instead of spinning with your feet for a unique twist. Here are 10 trampoline tricks to try. 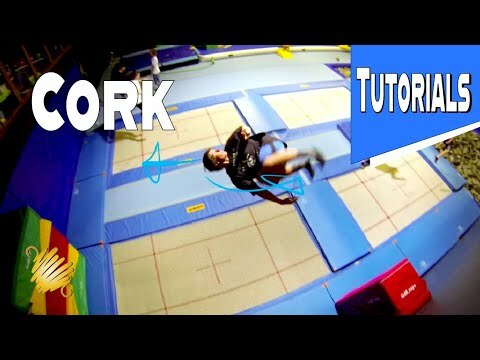 And here’s another video about how to safely work your way up to the more advanced cool trampoline tricks. Always follow the safety tips that are listed in your trampoline user manual before you attempt any tricks. Make sure that your jump mat, padding and safety enclosure net are all in good condition, and follow the guidelines for age or weight restrictions. Pace yourself and practice new tricks without anyone else on the mat with you to avoid accidents or injuries. Trampolines are fantastic for high-intensity, low-impact workout routines thanks to all the springs and cushioning. As long as you land safely, trampolines are one of the best ways to protect your body while still moving vigorously. Here are the three workout routines we recommend. On general principles, though, take a few minutes to warm up before you start any of these routines. Trampoline workouts are intense, and it does help to prep your body beforehand. Similarly, be sure you can regularly get high into the air. Many of the elements of these routines require significant airtime to pull off, so practice all of them before you begin the routine. Similarly, some of the jumps require a degree of flexibility to pull off. If you’re having trouble doing them, you may need to work on stretching and loosening your body first. What’s This About Trampoline Sizes? 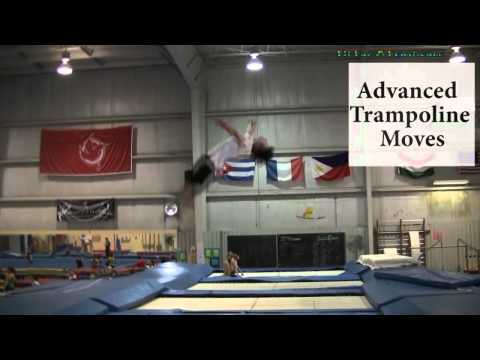 Trampoline workout routines use different types of trampolines. “Full” routines require the big, backyard-size trampolines, so chances are you can only do them outdoors. “Mini” routines use a much smaller trampoline you can use indoors or, in many cases, at your local gym. This is our only recommended routine for full-size trampolines. It’s intense, requires practice, and demands flexibility – but it’s also a whole lot of fun. Step 1: Straight Jumps (30 Seconds, Rest 30 Seconds): While standing upright, raise your hands directly over your head and leap upwards. Keep your body upright and your arms above your head, landing straight down. This move requires practice and balance since you won’t be able to move your arms to adjust for wobbling. Step 2: Seat Drop (30 Seconds, Rest 30 Seconds): Starting with your hands at your side, jump into the air and raise your hands so you can land on your rear. Your fingers should be pointed towards the edge of your feet. When you bounce back up, land on your feet. Step 3: Tuck Jump (30 Seconds, Rest 30 Seconds): Begin in the same standing position as the previous technique. As you jump into the air, pull your knees into your torso and wrap your hands around your ankles to hold them in place for a moment. Land in a standing position with your arms straight up. This takes a bit more practice than some of the other moves in this routine. Step 4: Pike Jump (30 Seconds, Rest 30 Seconds): Start in the normal beginning position this routine’s been using. As you jump up, move your legs parallel to the ground and reach toward them with your hands. Land back in the starting position. Like the Tuck Jump, this can take some practice before you can consistently pull it off. Step 5: Swivel Hips (30 Seconds, Rest 30 Seconds): From the standing position, jump into the air, then stick your legs out and land on your rear. When you rise into the air, twist your entire body 180 degrees so you’re facing the opposite direction, then bounce back into the starting position. If you can bounce well, you may be able to keep changing directions through hip movements, but that’s not required. Step 6: Straddle Jump (30 Seconds, Rest 30 Seconds): From the starting position, jump up and spread your legs so they make a 90 degree ‘V’ shape. They should also end up parallel to the ground. At the same time, reach towards your feet as best you can. Land in the starting position. Step 7: Jumping Jacks (30 Seconds, Rest 30 Seconds): The last few require a lot of practice and effort, but this one is easy! Jump into the air, and as you do so, spread your legs and clap your hands above your head. Land in the starting position and bounce back up to repeat the movement. Step 8: The Twist (30 Seconds, Rest 30 Seconds): Finally, the last part of this workout involves spinning around as you move up through the air. Start with a half-turn until you’re used to the motion, then progress to a full revolution each time you rise into the air. Like Jumping Jacks, this isn’t very hard – but it does take some practice to get used to it and remain oriented as you land. Repeat these eight steps, then take a few minutes to cool down and relax by lightly bouncing on the trampoline. Congrats, you’re done! This is a straightforward basic workout for a smaller trampoline. It’s more popular among women, but everyone can benefit from the sequence listed below. Step 1: Stand on your trampoline, with your feet about half a foot apart. You’re not looking for a lot of height here, so keeping your feet apart helps provide balance instead. Next, bend your knees and your arms, keeping your elbows close, and start to bounce on the trampoline. You shouldn’t go any higher than the distance between your feet. Do this thirty times to complete this portion of the routine. 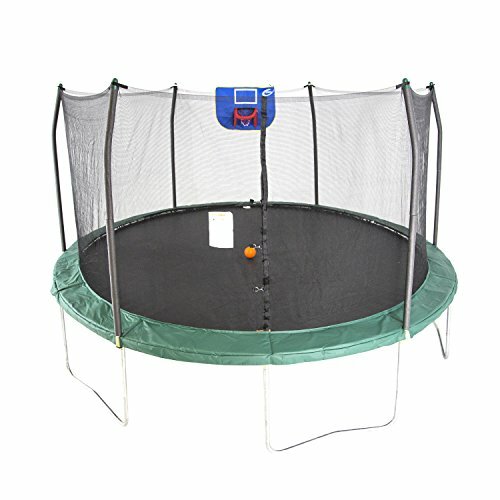 It may not be fancy, but the basic bounce on a miniature trampoline is a great way to burn calories. Step 2: Get into the same starting position as Step 1. 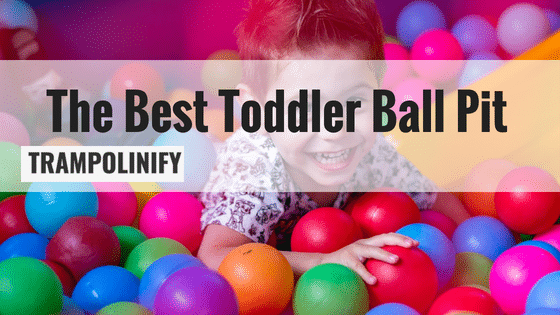 Instead of just jumping, though, start to bounce on the balls of your feet. At the same time, raise your knees to your waist in an alternating left-right pattern. Do this thirty times for each leg, giving a total of sixty lifts. Step 3: Stand up straight, with your feet together (not apart like in the previous steps) and your hands at your side. When you jump, spread your feet out to your shoulders and land on your feet in a sitting position. Don’t go all the way down and land on your rear. Return to your starting position on the rebound and repeat 20 times. After a short breather, repeat all three steps, then once more for a total of three cycles through. It only takes a few minutes, but you’ll burn far more calories than you may have realized were possible. Here’s an alternative workout for smaller trampolines. This one is more popular among men, especially those looking to build up their strength, but is suitable for everyone. Step 1: Do a few jumping jacks in the middle of your trampoline, then begin running in place. These should last for no more than a minute each – this step is just a warm-up for the rest of the routine. Step 2: Sit down on the trampoline, then push upwards so you’re standing again – as fast as you can. While you’re standing, reach across your body (with alternating arms) to stretch out. This movement will help you strengthen your core. Do this 20 times. Step 3: Put one foot in the middle of the trampoline and the other on the ground. 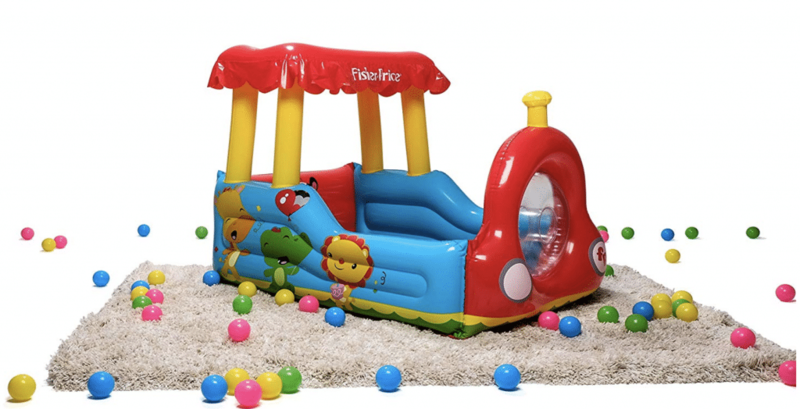 With that foot that’s on the ground, push off and land on the other side of the trampoline, then go back the way you came. Do this for twenty seconds, then rest for ten seconds, and repeat three times for each leg. Step 4: Get into a plank position with your feet on the floor and your elbows in the middle of your miniature trampoline. Switch to your hands for a pushup, then return to the plank position. Switch between pushups and planks for 20 seconds, then rest 10 seconds, and repeat this step three times. This will help to build the abs and upper body. Between these steps, you’ll get a full workout of your core, upper body, and legs – and in only a few minutes, at that! This is a great routine if you’re low on time and want to do something intense. 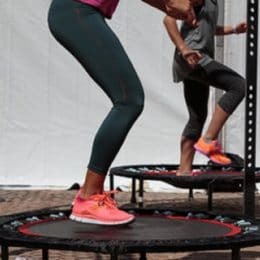 There are a few safety considerations to be aware of when using trampolines for your workouts. First, if you’re using a full-size trampoline, you should always have a safety net around the enclosure. The routine is safe when done as directed, but if you land wrong, you could hurt yourself. This is one of the reasons you should thoroughly practice each step before including them in a workout routine. Second, you should consider whether or not to get pads that wrap around the springs of your trampoline. 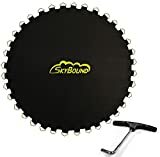 These are an added cost – especially for a full-size trampoline – but they make it significantly less likely that you’ll hurt yourself if you land on the springs. Unfortunately, these may not be available if you’re using a trampoline at the gym. Finally, if you’re going to have children mimic these workout routines, make sure to go over the safety information. 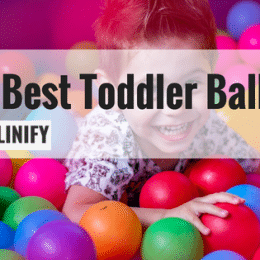 This is particularly important for the first routine, which may look like play and stunts to a child who doesn’t know any better. If they start mimicking you without knowing what they’re doing, they could hurt themselves. Trampolines are often the centerpiece of a backyard. 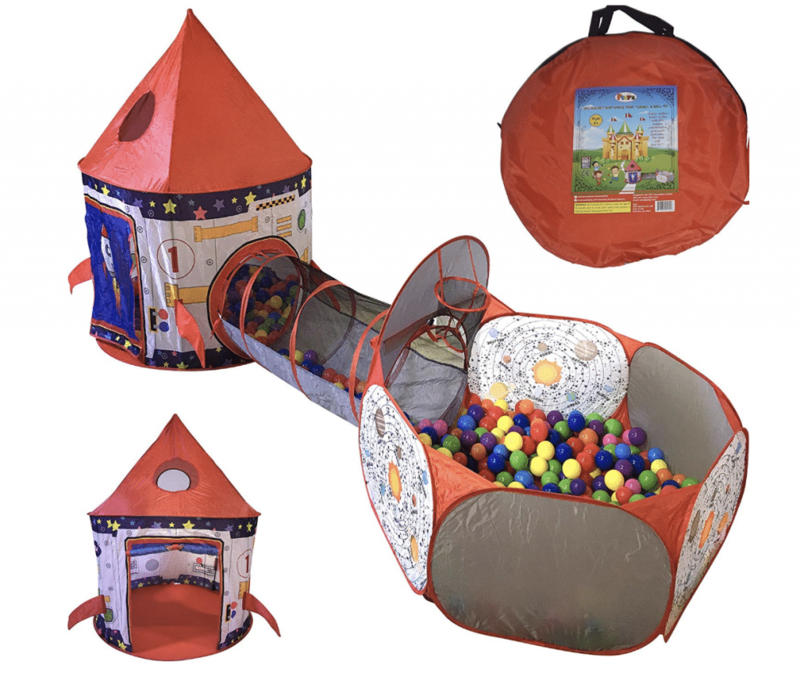 They provide endless hours of healthy, active fun for children and parents alike. And, best of all, when guests are visiting they always want to spend time testing out the trampoline. In short, everybody likes a good bounce on the trampoline from time to time. That is why it is such a shame when trampolines endure wear and tear due to bad weather. 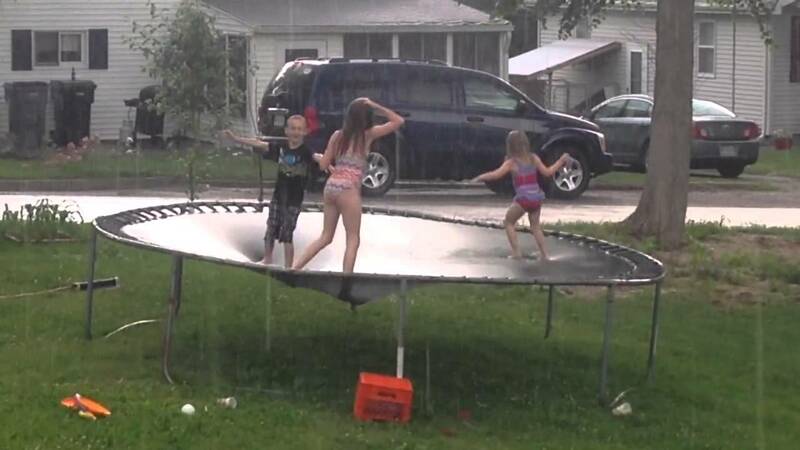 It is not uncommon for us to see trampolines left out in the rain without a protective skirt or tarp. It is also fairly common to see smaller trampolines unattached to the ground on which it sits. Clearly, there is a problem here. If you want to enjoy your trampoline for years to come, it is important to take every precautionary measure to maintain it. Above all, this means guarding it against inclement weather. In most cases, your trampoline requires special treatment during winter months. Do you want to find out how to protect your outdoor trampoline from high winds, snow storms, and other harsh weather conditions? Read on to discover everything there is to know about guarding your prized backyard possession against the elements. For those of us who have the pleasure of experiencing sub-zero temperatures during the winter season, specific steps must be taken to winterize your trampoline. Winterization ensures that your trampoline will be resistant to freezing temperatures and the accumulation of snow. 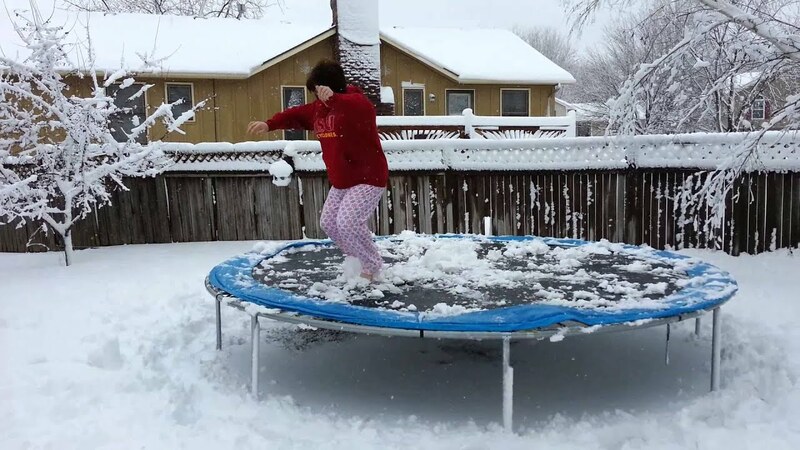 Most modern trampolines are built to withstand freezing temperatures. However, responsible trampoline owners must remove snow from the bounce mat at the first sign of its accumulation. As a rule, keep a shovel next to your trampoline during the winter months. After each snowfall, hop on the trampoline and clear away all of the white stuff before it has a chance to turn to ice. Although routine snow removal might sound like a tedious chore for some, it is a small price to pay compared to the time it takes to disassemble and reassemble the trampoline as a whole. It is typically unnecessary to stow away a trampoline during the winter. 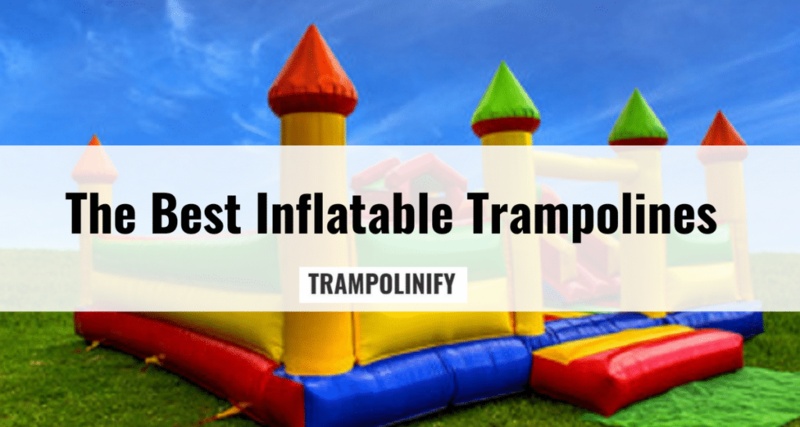 However, summer-only trampolines tend to last a couple years longer than all-seasons trampolines. 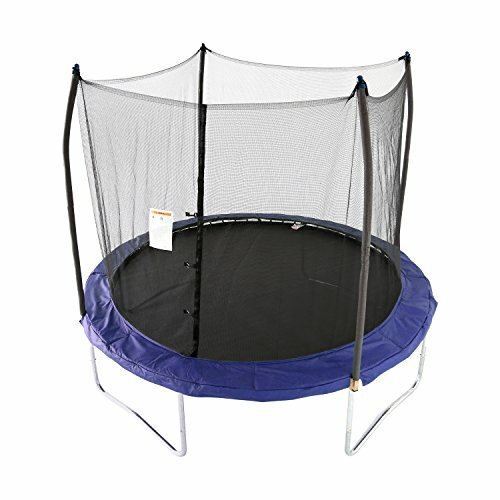 Do I Need a Trampoline Cover? Many trampoline owners cover their bounce mat with a tarp to protect it from snow accumulation. However, when it comes to preventing your trampoline from snow damage, there is no need to purchase a trampoline cover. 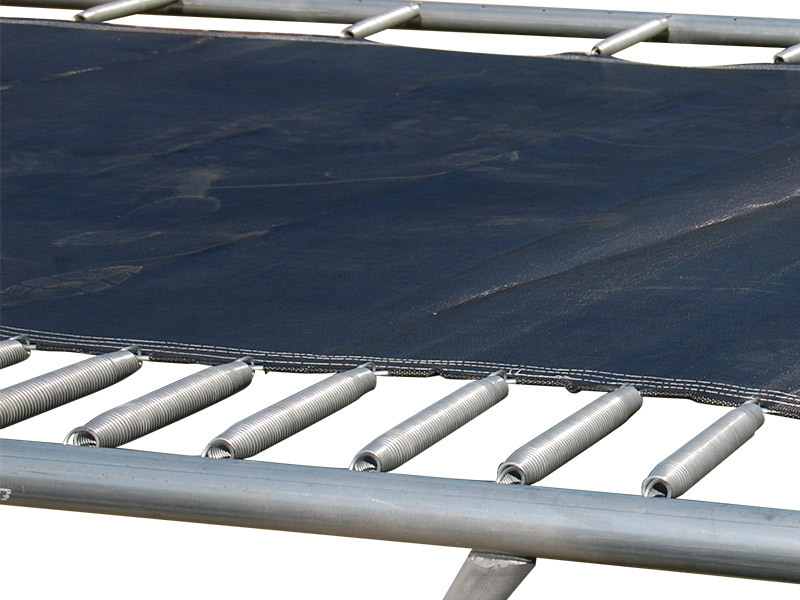 In fact, covering your trampoline bounce mat with a tarp can even cause additional damages. Since the bounce mat (bouncing surface) of a trampoline is porous, snow will naturally seep through it as it begins to melt. This causes excess weight to run off of the bounce mat. This provides relief to the springs, which would otherwise strain under the weight of the snow as it accumulates. You should secure your trampoline to the ground if you live where wind conditions can become particularly harsh. Far too often we hear stories about trampolines of all sizes that fly on to a neighbor’s property during wind storms. An errant trampoline is something neither you nor your neighbor will appreciate. The only way to reliably protect your trampoline against high winds is to purchase and install a tie-down kit. 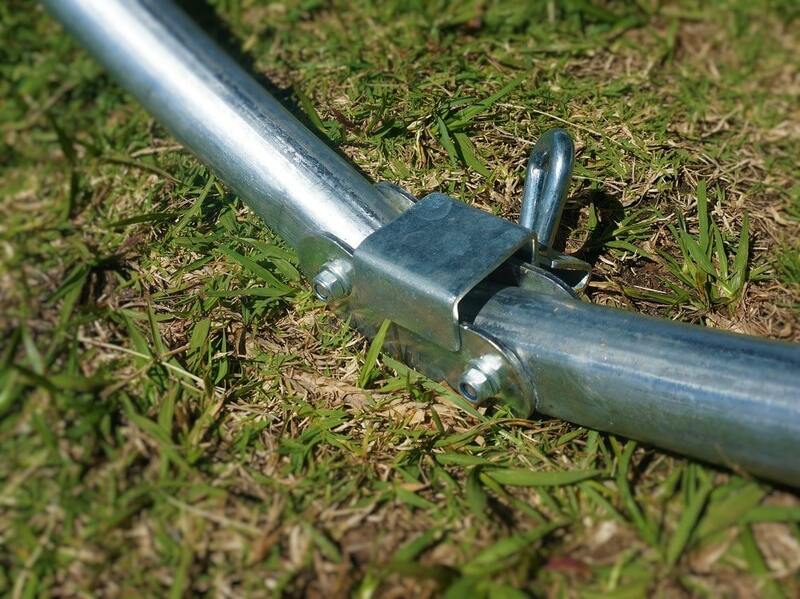 Tie down kits act as an anchor for your trampoline by rooting them into the earth. In most cases, anchoring your trampoline will minimize movement and structural damage caused by heavy winds. 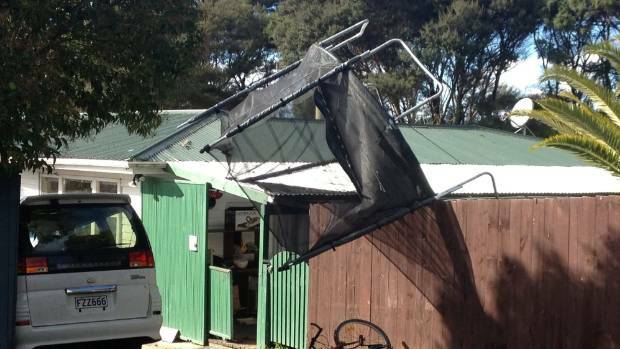 If the wind is not a major concern where you live, you may want to simply place your trampoline in a low-risk location. Generally, placing your trampoline next to a large tree or behind a wall is a good idea. This is because large objects can serve as an effective wind block. It can also help to place your trampoline at the bottom of a hill if you have that option. During heavy rain conditions, we advise picking up a heavy-duty rain cover. The best rain covers are those that are made of polyethylene since this material is strong enough to resist significant pooling. Always make sure that your rain cover features a drainage hole in the center. 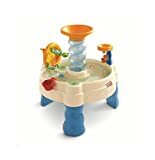 This allows water to seep through onto the bounce mat without damaging the springs. Also, ensure that your trampoline rain cover is the correct size. Don’t overshoot it and assume that an oversized cover will get the job done. 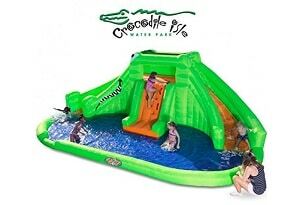 All this will do is make your rain cover droop and water to pool on top of it. An ideal rain cover should be stretched taut at all sides. The main purpose of a rain cover is to prevent your springs and frame from taking on rust damage. Metallic frames and springs need to be protected from rust. Over time, rust damage can erode the durability of your springs and can cause structural failure if left untreated. 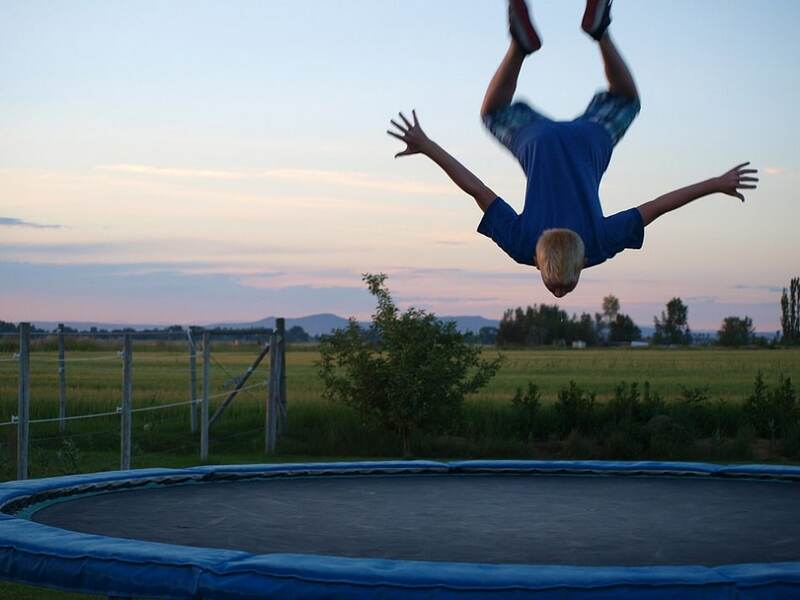 Damage to trampoline springs can cause serious injury. 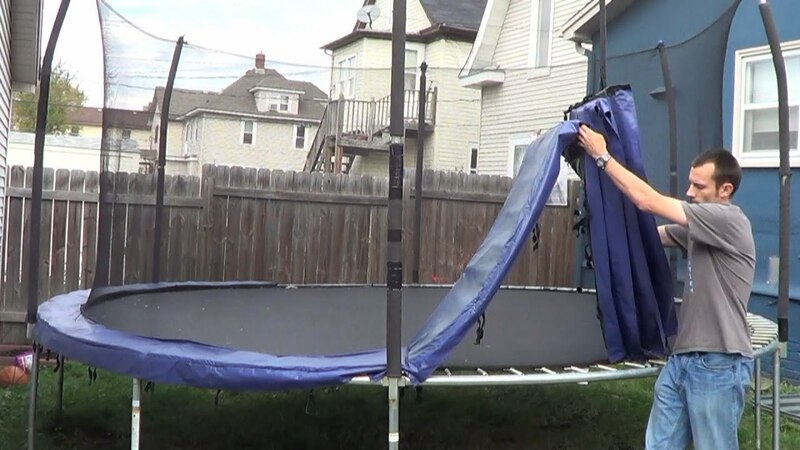 The best method of rustproofing a trampoline frame is to simply shield it with a tarp or rain cover. Ideally, all of the exposed metal components will be covered. Most higher-end trampolines have a steel frame that is naturally rust-repellent. However, trampoline springs are almost universally prone to rusting. 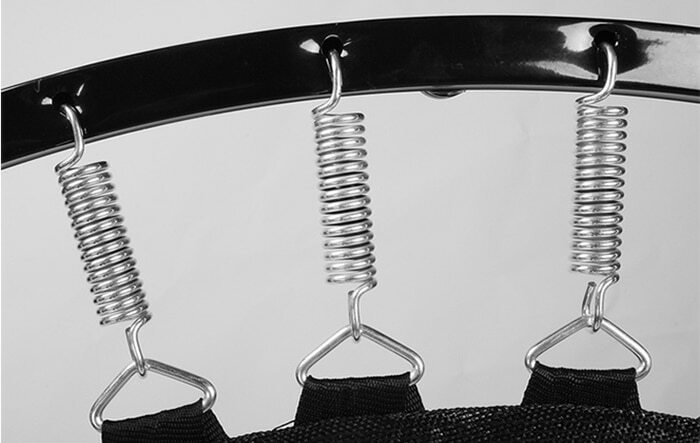 To rustproof your springs, you should always make sure the section where your bounce mat meets your frame (i.e. where the springs are housed) is protected by a trampoline skirt. 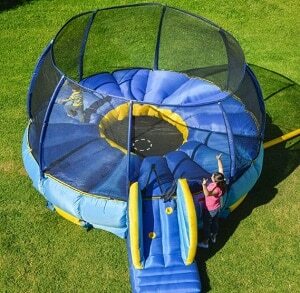 Most family-sized trampolines are bundled with a circular blue skirt that wraps around the perimeter of the bounce mat and ties onto the metallic frame. If you want to take even greater measures against rust buildup, you may want to consider purchasing rust-proof spray. 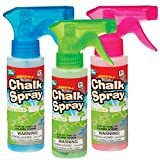 A premium quality rust-proof spray can be purchased at your local hardware store. It contains active chemical ingredients, contained within an aerosol can, that can counteract the effects of water on steel. If you live near coastal areas, there’s a chance you will be exposed to a hurricane or tropical storm conditions. While nobody wants to imagine having to prepare to brace for a hurricane, it is important to know what to do in case disaster strikes. First, check your local weather forecast. If meteorologists issue a weather warning for a potential hurricane or tropical storm, take action immediately. Hurricane-force winds can easily uproot large trampolines, even if they are anchored to the ground. If you suspect that a hurricane may be impounded, you must dismantle your trampoline and store it indoors. Tearing down a trampoline is a trampoline owner’s worst nightmare. The majority of commercial trampolines on the market today are a major hassle to set up and tear down. However, it is a plain fact that occasionally teardowns are made necessary due to extreme weather. In the event of hurricane-force winds or severe flooding, an assembled trampoline can cause untold damage to yours or your neighbor’s property. Ask yourself, what’s worse: taking an hour out of your day to stow your trampoline, or paying thousands of dollars in insurance premiums after it crashes through your neighbor’s sliding glass doors? Put simply, always veer on the side of caution. 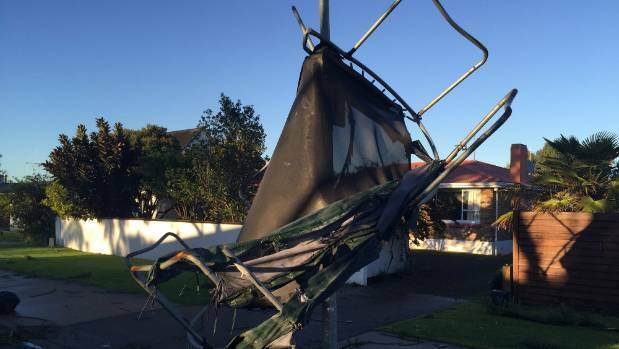 If you receive an emergency weather alert, do not hesitate to take down your trampoline. 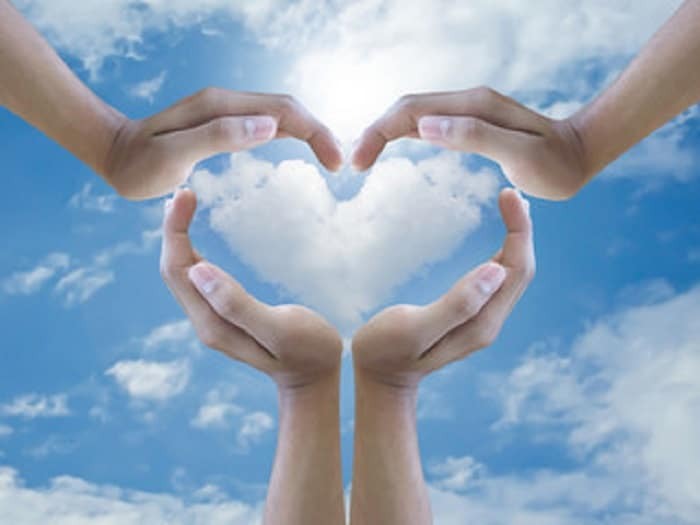 During difficult times, it will give you additional peace of mind and may potentially save you a lot of money in the long-run. 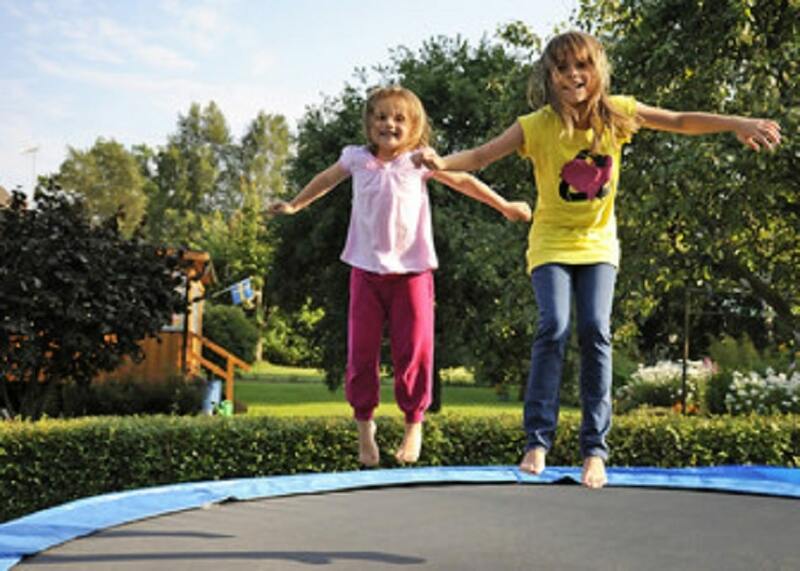 Now that we’re experts in trampoline maintenance, let’s run through some of the key takeaways. Rain or shine, following these simple rules, will allow you and your family to enjoy your trampoline for years to come. Amusing the kids can be tricky sometimes and as the weather gets warmer most parents would prefer them to be outside playing in the sunshine. 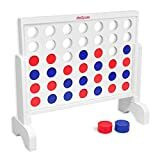 So, we’ve put together a list of 101 of the best and most fun backyard games for the young ones and the young at heart. 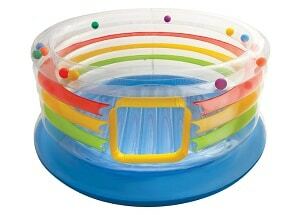 Did Our List of Backyard Games Bring Back Some Memories for You? 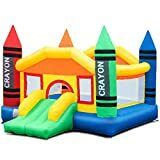 When deciding on which backyard games should be included in our list of 101 backyard games and ideas we tried to accommodate children of all ages. Yes, even the ones who think they’re too old for fun and games. Some entries may look like they’re on the list twice, but that’s because different age groups have different listings. 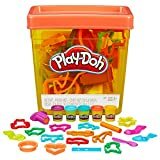 BOTH ROPE & PLASTIC RINGS are included so you can play how you like. 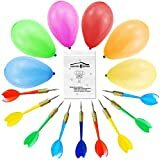 HELPS KIDS DEVELOP HAND-EYE COORDINATION in a fun family-friendly game. 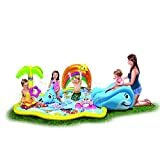 Transform your backyard into a junior ocean adventure! 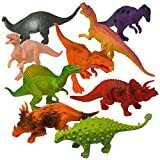 This set includes 160 glass marbles in a variety of colors and patterns. 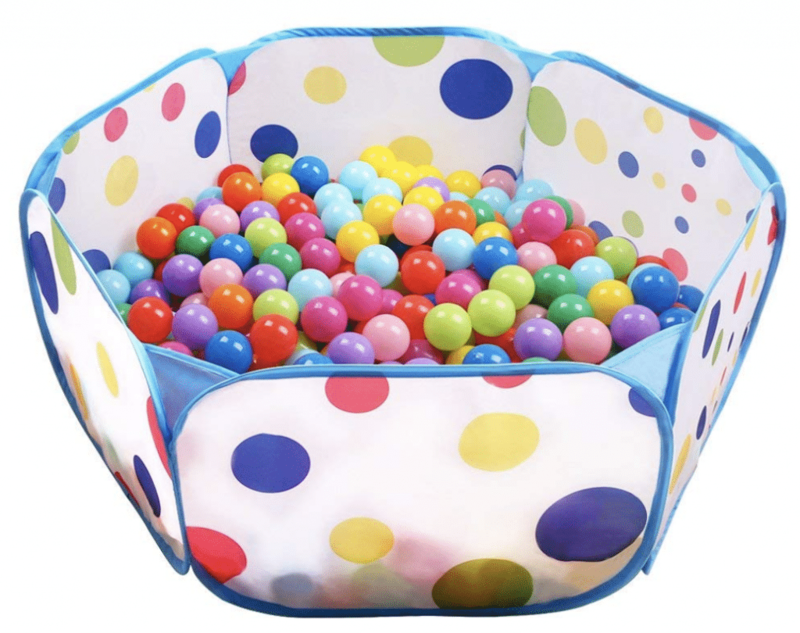 Marbles are kept in a colorful tin storage box when not in use, reducing clutter. 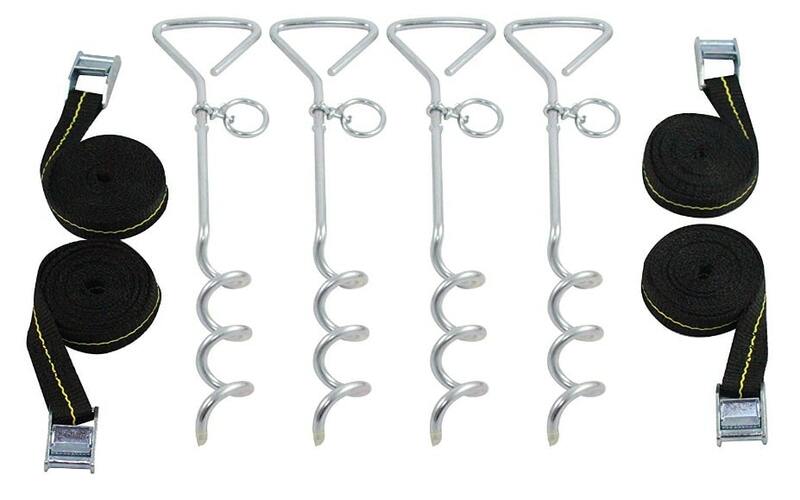 Combination 100' (113' total cable length) Zipline and Spring brake kit!. 2 adults following our thorough instructions can set up the zipline in less than an hour! 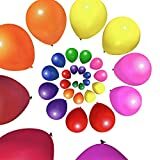 Here's A Video on Lets Make! 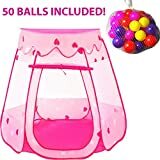 : DIY Bucket Ball! Here's A Video on Shaving Cream Slip and Slide;Messy Fun! Recent statistics state that approximately one in three children in the United States are overweight. One way to combat that problem is to get kids outside to run instead of shooting zombies on screen, inside the house. There’s more benefits to outside play than just the physical aspects. Have you ever seen kids out of school doors as soon as the bell goes off? 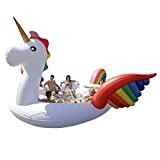 You can see freedom and excitement in their faces. 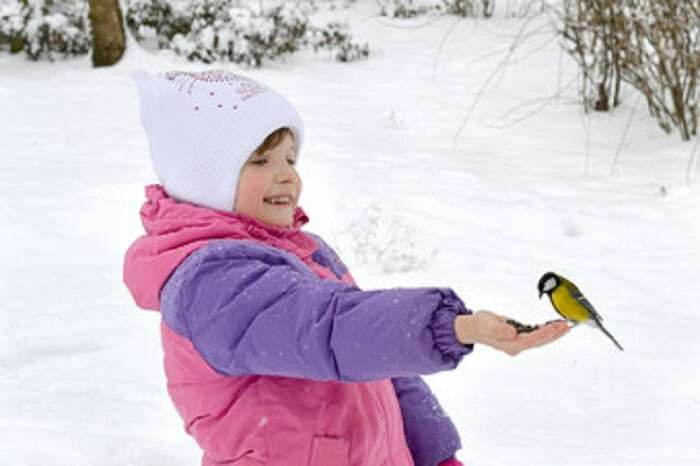 Being outside allows kids to engage in behavior that isn’t acceptable outside. For example, they don’t have to use inside voices. Running around is the best way to steam for a child. 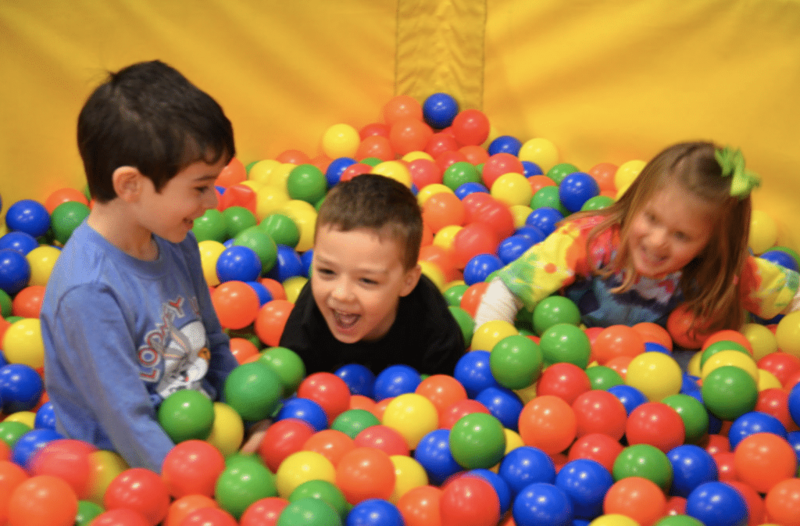 Activities like throwing a ball, trampolining, and treasures hunts, all help your child to grow and develop fine motor skills. 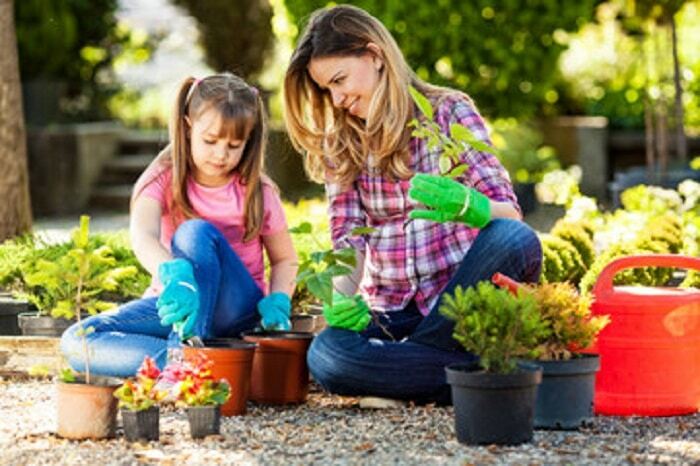 Backyard games usually involve more kids and social skills are another important aspect of a child’s development. You will have noticed some oldies and goodies on our list and that was deliberate. 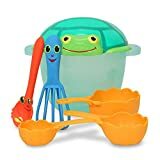 Although the modern toys are fun to play with there’s a lot to be said for the sheer fun of getting your hands dirty by making mud pies or building sandcastles.